You haven't heard a peep from me for an entire year (gulp), which wasn't my intention, I swear! Nevertheless it's astonishing how a new baby and a full time job leave little time for anything. And I mean anything. If I got three showers a week I'd think I was on vacation. Despite the perpetual eye bags, never-ending laundry and a house that may never be tidy again, it's been a wonderful year. My heart has grown five times its original size in response to the tiny little human who joined us 17 months ago. This part is loooong overdue. 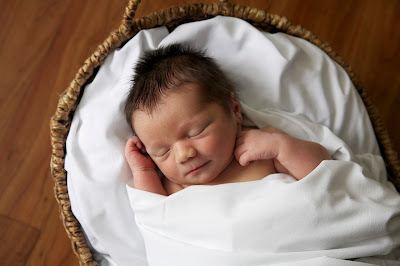 So dear readers, without further adieu, I'm pleased to introduce my wonderful distraction: Maximo Christian. And of course he's a good eater. Can't wait to hear your next food ideas. Thank you! I'm so happy to be back and have a long list of posts waiting to be created. Chubby little fella aint he?